the tea conjurer: an introduction. 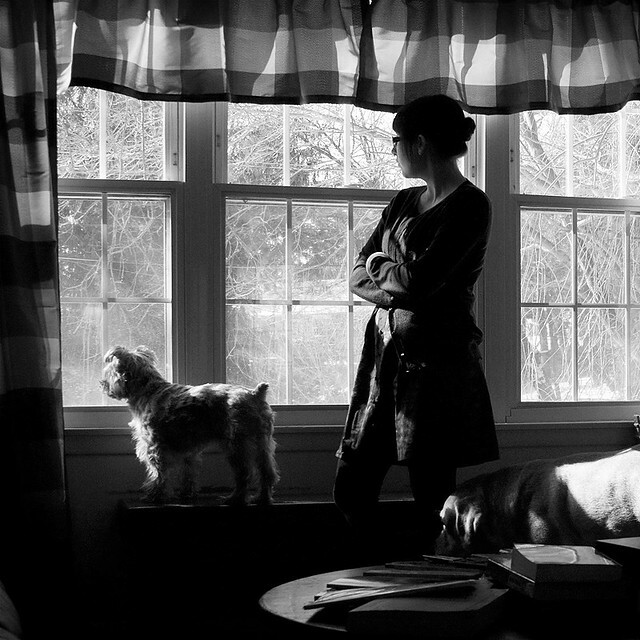 My name is Danielle, and I'm a 24 year old photographer residing in suburbia. 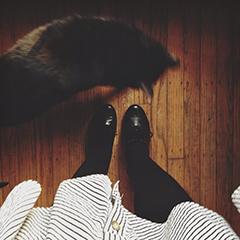 I have a fondness for black cats, old cameras, tea, and food. I collect teaware and have upwards of 50 teas in my cabinet. I've had a love for photography since I was quite young. I like shooting with film, but I am a procrastinator with lots of undeveloped rolls laying around ever since I stopped having a darkroom to visit. One day I'll get them all developed simultaneously and it will be a treasure trove of forgotten photos, or maybe one day I'll make my own darkroom and not have to procrastinate so thoroughly. I hope to post lots of recipes and food photos, as this blog will help document the lifestyle of a food lover who abruptly developed a gluten intolerance and had a hard time adjusting. Hopefully my kitchen experiments will benefit someone who loves tasty allergen-friendly food just as much as I do! Oh my! Gluten intolerance! Me too! But much later in life, than you. The thing is... Needing to live G/F is make "easier," by the knowledge that one will be so very, very, very uncomfortable, if one does eat gluten. ,-) At least, I look at it, this way.